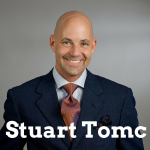 Stuart Tomc has over 20 years of experience in the field of Nutritional Medicine and is an expert on evidenced-based dietary supplements. He has also traveled all over the world to teach others about his findings for over 10 years. In today’s Holistic Survival show, Stuart talks to us about food imbalances, the importance of omega-3s, and more. 4:50 – The fat you eat may determine what kinds of food you seek out. 7:55 – We have a huge food imbalance in our culture. Stuart explains in this segment how you can correct it and balance it out again. 10:30 – We need more omega-3 fats in our body, because we are consuming almost too much omega-6 fats in our regular diet. 13:00 – If your immune system is already stressed out, it can be hard to start this new food journey. 18:55 – As we become so obsessed with our diets, we may sometimes miss out on foods that are actually good for you. 21:25 – Oil of oregano seems to be nature’s most effective germ killer. 29:00 – Don’t forget to talk to your doctor or other trusted medical expert about omega-3 benefits. You’re in constant fight or flight, that’s really a hard place to begin this dietary journey. Getting everybody to 2%-5% body fat or whatever, that’s not a solution for successful aging or optimal health. We have some fit fat people out there and some skinny time bombs that are about to have a stroke or a heart attack. Biology of Belief by Dr. Bruce Lipton. It’s my pleasure to welcome Stuart Tomc to the show. He is a certified natural health professional and a leading authority on dietary supplements, former consultant to the World Health Organization and integrative physicians worldwide. Stuart, welcome, how are you? I’m well today, thank you for having me. A tough subject to discus today, but I think we have to do it. Yeah, we definitely do and you’re coming to us from the Chicago area, that’s correct? That’s correct. Right here in Chicago in the coproate of offices for the company I represent is out in sunny California. And that is Nordic Naturals, right? Fantastic. Well, tell us what’s the latest and the greatest in the world of health and supplementation. Well, I think one of the areas I am most curious is this discovery of what we call the endocannabinoid signaling system, which is relatively new discovery. We have these receptor sites in our brain and in our periphery and they’re very instrumental in regulating satiety food seeking behavior, some of the reward mechanisms that are triggered by behavior in general. It appears as if the fat you eat on a regular basis may have a role in some people in increasing this activity of food-seeking behavior through marijuana-like receptors. So, this interesting interface of how too many of the wrong kind of fats in relationship to other fats may be increasing hyperactive endocannabinoid tone making you have the munchies and not being able to stop eating what you’re eating. So, you’re saying that contributes to the obesity problem then? And metabolic derangement and syndromax. I mean, just try and imagine this, we had a balance in our tissues of the most important essential fatty acids up until the 1950s, then we told everyone to ban/discontinued the saturated fats, right, they were demonized. Polyunsaturated everything, but we made no distinction between omega-3 and omega-6. Then, we told people no fat. Fat-free cookies, fat-free muffins, fat-free everything. We gained a lot of weight. Now, we’re demonizing the trans fatty acids. Now, yet, once again, for too many seed oils in our diet drive food-seeking behavior. This is a new and exciting discovery. So, what is in our diet exactly that is causing us to eat more? Okay, so, if you have higher levels of arachidonic acid, which is the long chain omega-6 that is in everyone of our trillions of cell membranes. This arachidonic acid is converted into another compound called anemone, which is made on demand and there are some others like that that then fits into a receptor site that triggers the munchies. So, what we’ve seen over the last 5 or 6 years and then top researchers of natural institutes of health have been exploring this as we have eaten more and more seed oils and more and more omega-6 in our diet, we have more omega-6 in our tissues that initiates more food-seeking behavior and we have a reduced satiety. Right, but where are we getting this from? What is the external source that is creating whole chain of events that you’re talking about. Soya bean oil which makes up about 20% of our daily energy intake now. The fact that within animal nutrition, we’ve completely changed the dietary of our ancestors like what our grand parents ate, because we’ve changed the food that we feed them. So, we’ve imbalanced the fats in the animals themselves, further imbalancing ourselves, then we eat more vegetable and seed oils and less fish and fewer green leafy vegetables and we are radically out of balance. Right, so what do we have to do to bring ourselves back into balance? I mean, you’re saying that the meat supply is so corrupted, can we even do anything about it? I mean, you can eat free-range and grass fed, but I sort of wonder how legitimate that is. It seems everything is corrupted nowadays. *Laughter*. I go to the U.S. Department of Agriculture’s database to really get the fatty acid analysis that’s in food that way I take what is more subjective out of the equation because it is a challenging and charged topic as you know. So, I look at the data of what is actually in the food. Now, the U.S. Department of Agriculture’s database doesn’t distinguish between grass fed cattle and grain fed cattle. However, from other sources of information, it’s true that grass fed cattle, wild caught fish, animals that eat more than their natural fair have higher of levels of omega-3 and lower levels of omega-6. I’ve seen data on farm raised salmon versus wild raised salmon and until the last two years where they radically tried to get the feed back to being more balance, you could get three times as much omega-3 in a wild caught salmon than you would in a farm raised salmon. So, yes, with diet you can do something, but it’s not easy. Well, what can we do in the diet, though? I mean, it’s not easy, but is it supplementation? Will that correct the problem? Because, some of it we can’t fix at the root, probably. That’s correct. I was just talking to a physicians the other day, we know that omega-3s whether from food or supplements are converted into the anti-inflammatory hormonal compounds that help put out the fire and rebuild, but we don’t always know what is causing the insult. It’s multi, multi-factorial. The biggest thing I encourage people to do in all of my lectures is you’re going to get the greatest initial benefit, I believe, by dramatically reducing the omega-6 intake, because what we wanna do is we wanna reduce the burden of the body needing supplementation. It should be a supplement and if we could get people to really study which oils are the highest in omega-6, not use those, eat more green leafy vegetables, more flax meal, and then eat supplements if you’re not getting enough cold-water oily fish in the diet. To me, that’s a much better overview to how we can correct the imbalance, because what we’ve been doing, Jason, by telling everyone to take two capsules of fish oils a day, not keeping the background diet into consideration, a lot of people just miss the benefit boat with omega-3. So, what happens? The two capsules won’t solve the problem, because of what? You know, we’re talking about how it’s hard to fix the diet, I mean, it’s really hard given our corrupted food supply, given all of the corn syrup everywhere. You know, what do we do? The issue is this and thank you for structuring this in a way that we can really step through this one at a time, I appreciate that because everyone needs to understand that both of these fats are essential, we don’t make them, but balance is critical. They both compete. Every bit of omega-6 you eat, every bit of omega-3 you eat is fighting for attention and placement in everyone of your cell membrane, which is everyday all day long in a merit of different ways. If you have more omega-6 in your tissues, you create the compounds that prolong inflammation, constrict your airways, constrict blood vessels, increase blood clotting, increase pain sensitivity. It’s a natural thing. You want to have that. However, if the standard American diet is 80% omega-6 and only 20% omega-3, because we don’t eat fish everyday, we don’t eat tons of dark leafy vegetables, we don’t eat enough seaweed. Every time your immune system is challenged, you have an explosive hyperbolic reaction that isn’t necessary. So, the competition is between every bite of food you eat that doesn’t get turned into energy because you. The fats in the food set the stage to how you are going to respond to inflammatory insults, that’s a key part to aging successfully is knowing how to respond efficiently to the merit of insults out there. Okay, good, good. So, what else can do? I mean, this problem is so multi-facted. Everyone is out there marketing a different solution, a different supplement, the magic pill, you know, how do we sort the wheat from the chaff? I mean, that’s so hard now with so much gimmicky over-simplification. And incredibly good marketing at the same time. I mean, it would make anybody suspect. The people I look to are the forerunners in this whole conversation are people like Bruce Lipton. I don’t know if you’re familiar with Dr. Lipton, but he’s one of the forerunners of this area of epigenetics and what is above the genes. For years he’s been lecturing, he’s written 3 amazing books one called Biology of Belief and the reason why I pick omega-3 is my main area to focus is because the cell membrane, according to Lipton, is a liquid crystal semi-conductor with gates and channels. So, if the environment dictates gene transcription and that cell membrane is the interface, I think that’s the first thing, the simplest thing, the fastest thing that we can do to get results. I mean, doctor Lipton said to me, he said, “Hey Stuart, you’re doing important work. However, if you can get people to wake up on how fear and unresolved emotions and hatred and resentment can drive so much stress response in the body that you’re in constant fight or flight, the immune system is depressed because you’re in constant running mode.” I mean, that’s really a hard place to begin this journey. You know, in psychosomatic medicine ever since Norman Cousins was probably the pioneer of it, I assume, but you know with his great book Anatomy of an Illness, but, you know, it has been proven over and over to be a legitimate science. hey did a demonstration. They got a guy on stage, measured the heart rate variability. 300 of us all sending our love towards him, we completely relaxed this guy, got his sign wave going for his heart rate to be far more metered and appropriate and helped reduced his overload of stress. Now, the trick is to get a lot of people from allopathic evidenced-based medicine to buy into that. Well, that’s a hard stretch. It is. Even Cleveland Clinic, all these places that are looking at the role of meditation with reducing stress and helping with inflammatory cytokines. New study that just came out, huge reduction in c-reactive proteins amoung people that meditate and people that pray and people that have that mind/body connection, but that’s so hard to get people to start there. I like to find the simple small victories to get somebody to motivate them to look at their emotional health. Very good. I definitely agree on the mind/body part, but tell us about what else we can do in terms of supplementation, in terms of menu choices, you know, what else can we do there? Well, even before I answer that and I will answer that directly I promise. I’m just such a big believer in sleep. I can’t tell you after 25 years of working dietary supplement industry, how many health experts and gurus I’ve known personally and I’ve seen that might know everything to do and don’t sleep or don’t forgive or they’re angry. Once we understand those differences and that interface with nuetrogenic netronomic activity, we’re going to go into an era of personalized medicine that’s going to make this look like gross over-simplification. In the meantime, eat when you’re hungry and sleep when you’re tried and I believe that if we can get more sleep, it’s so restorative, that I would choose, at this point, sleep over exercise, which I think is as equally as important. Okay, so, sleep more, exercise less. *Laughter*. Just kidding. But, I will say something about exercising. As much as I love to do it, especially yoga, I’m a big fan of yoga, I hurt my shoulder recently and I couldn’t do it. I tell you, resting is also important. Taking a break from exercise, I think is very beneficial. I was like doing it too much, I think. You gotta give your body time to recover. I just came back from bodybuilding.com. They’re a big operation and I gave a bunch of lectures out there to their group and these are fitness, I mean, real enthusiasts. Down the hallway are pictures of everyone that works there before and after, like, with a newspaper and they’re just ripped. They’re all just super model looking ripped. I’ve studied that as well and I’ve talked to a lot of different experts that study this. You can reach that tipping point where a certain amount of the stress and hormetic challenges are good and up-regulates a lot of the body’s antioxidants signaling system, but there’s evidence that shows when you go over that bell curve and you’re just slamming yourself way, way, way too much that you can actually speed up the aging process. So again, that’s one of the paradoxes that I am interested in. Just getting everybody to 2%-5% body fat or whatever, that’s not a solution for successful aging or optimal health, either. Very good point, very good point. Okay, so what else? I believe the area where it can all come together is being attentive to the discussions that we make and so as we go into this holiday season, people have a tendency maybe indulgence maybe more than they normally do, that if you tell yourself, “I really shouldn’t eat this.” And then you go ahead and eat it, that might be one of the most fool-hardy things that we do. If I’m going to eat a brownie that my grandmother makes with grandmother’s recipe and I’ve recently gone through some fitness craze or I’m on this gluten-free thing or I’m more on the paleo diet or whatever and I refuse the generosity my grandmother’s brownie with her love, I’m missing out on something that can be supremely healing and connecting and that’s something I think we’ve missed in our obsession to find these perfect philosophy or diets. Yeah, very good point. Well, what do you think about, I wanna ask you about your thoughts on the FDA. You were making some interesting comments about Australia and how they have very strict to laws when it comes to supplements, you know, I would say that we do too. You know, the fact that, look at the herbal world, for example, no claims can be made. If you make a claim on a bottle of prune juice, yet everybody knows what prune juice does, you know, you’re going to jail. What do you think about that and what’s the right answer? You’re in this business, so it affects you. It does and I see it from all sides. The one part of me that is very appreciative that we test these theories is so we can remove some of the over-simplification that may, because we have such a growing audience of people who listen to shows like yours and wants somebody like me on the air all the time. Since that audience is growing, my concern is when we say everything within the four walls of this health food store and all of these great herbs and supplements and tools that we have, everything here is fundamentally safe and effective and good and everything over here in the pharmacy, everything that we get at the hospital, all of this stuff is all bad. I think that huge division of where we’re unwilling to see the benefit, for example, the FDA asking for more research. I use to work for a spice oil company. You might have heard of oil of oregano? It’s nature’s most effective germ killer that I ever found and I worked with that company for 10 years. So, we did all of this research in laboratory studies, petri dishes, and then animal studies of how this stuff kills every single viral and germ. The owner of the company got embolden because the evidence was looking great, so he’s coming out saying, hey, I think I’ve found the cure to coronavirus, I found the cure to this, to this, to this. None of that stuff was extensively studied for long term safety in humans compared to antibiotics or antivirals and research tested and proven effective. So, he made these outrageous claims that exceeded what the law said that he’s allowed to me and he ended up getting in trouble. So, there’s a part of me that things it’s a great thing to reign in all the bad actors in this industry and then the people who have legitimate science like omega-3, like vitamin D, there are some areas with such strong science that over time they will prove themselves to be important tools in the tool chest. Does answer your question? Yeah, yeah, so you’re conflicted about it. I am too. I think we all are. Hugely conflicted about it, because I went to a place like Australia, which I loved, I’ve been to New Zealand and even health Canada is further than we are and when they limit these things that compete, educated person who I think should always be talking to a natural path or a medical doctor that has advance training in nutritional medicine that a lot of these tools, you may need mega dose omega-3 if you’re concussed. I have a colleague who just retired from the pentagon. I mean, he ran the primary care flight unit of the medical unit at the pentagon. He’s telling you to take a dose of omega-3 of 9 grams a day if you get concussed. Now, let me ask you about this. Let’s talk about for a moment. Wasn’t there some contrary news about omega-3 and fish oils maybe about 2 months ago, I wanna say, saying that it was bad for you. Of course, there’s so much controversy about this stuff, we all know that. There was a new study out, maybe it was relating to heart disease, I just remember hearing it and I thought, oh gosh, now what do we have to do? Take all this stuff we thought about omega-3 and fish oil was so good for us and now it’s saying it is bad. Who do you believe? How do you do this? Well, they were actually two major fronts. One was on top of standard of care, which we need to make that point. I’ll describe that in a second. The other one was an association, an observation between omega-3 levels in tissue 10 years after somebody started a study and their coincidence of developing prostate cancer. So, we’ve got two areas. Let’s address the first one. Farmacology has gotten so sophisticated that you can get a cardiac care patient or someone who has just had a heart attack so stabilized with drugs, thin their blood, keep their atherogenic cholesterol a little bit lower, because that’s what we’re doing with some of these statins. It’s not just that they lower cholesterol, they’re also anti-inflammatory for oxidized cholesterol, which can be dangerous. You get people on all these drugs and then you give them 1,000 milligrams of omega-3 EPA and DHA and then you suppose to see is there a statistically significant reduction in death with middle-aged obese smokers that are already on 6-9 different drugs. I’m not surprised in the least, Jason, that there isn’t a huge added reduction in death on top of every drug that’s known that’s standard of care. I don’t think anybody is surprised by that. We’ve got to put that in context, because the best fish oil research goes back to the big Italian study before statin drugs were so widely prescribed. The other would be the prostate issue. I am very leery of saying something is inappropriate science, because that’s easy to say. I’m going to quote the lead author of the prostate study, he says, “It’s important note however these results,” his observation that omega-3 was connected to prostate cancer, he says, “Do not address the question of whether omega-3s play a detrimental role in prostate cancer.” All he saw was 10 years after they were first tested that there was a very small difference in the omega-3 in the men and 10 years later men developed prostate cancer. I mean, it’s a coloration, it’s an association, it’s not causation and it’s very misleading to people who need help. Very interesting. Well, the debate rages on, my friend. *Laughter*. As a final thinking, can you address that how does the consumer know what to believe anymore. Can you give anymore advice on that? Well, I am a data junkie. I try to be very excited about the information, but I really want to place my trust in the evidence and then the understanding the mechanisms of action. Those are the two things were there’s freedom. If you understand the mechanism of action, when I tell you that our running theory is that people that eat more seeds and seed oils and less omega-3s, anywhere you live in the world will die differently. They will have more thrombotic events. They are a few unified theories in nutritional, other than quit smoking, which you can challenge with the Japanese paradox where they smoked a ton, drank so much green tea, had so much iodine, and had some of the lowest lung cancer, but they also had high levels of esophageal cancer. So, there’s always these paradoxes everywhere. One thing that I’m so interested in is giving people the sources for the data. So, here’s what I’m going to recommend, read PubMed.gov, I’m sure you do, Jason, from talking with you. Everyone who hear something new in some infomercial, you read it in editorial, I don’t care if your doctor tells you, go to PubMed.gov. Type in the search engine, read the research around whatever you’re being told and then explore what is the mechanisms of action. When people learn that aspirin blocks omega-6 that rimonabant, the FDA-approved obesity drug.. So, you’d say that you believe in the aspirin theory, then? The aspirin therapy concept, right? I’ve gotten some questionable mail from people who have been quite upset with me for saying it. I believe as a risk reward benefit when you look at the totality of benefit versus the risk and the cost, beccause that’s something our audience has a hard time doing that the return on investiment is extroinary. What I’m saying is, if aspirin blocks cox, which converts arachidonic acid into pro-inflammatory compounds. What if we ate less omega-6, had less of it in the tissues, and how more omega-3, how would we respond to immune inflammatory insult? Would we need aspirin everyday or like the Inuit that had the thinnest blood and the lowest risk of heart problems that ate far more omega-3 than omega-6. I guess I say it like this, aspirin is the wonder drug of the 20th century. Some believe the appropriate balance of omega-3 in the tissue may be the ideal recipe for the 21th century. Fantastic. Well, that may well be correct. Stuart, give out your website and any other resources that you want peole to have. Thank you for that opportunity. One, I’m going to give you, I love my mentor, Bill Lands. Dr. Lands wrote what I believe is the senimal book on this subject called Fish, Omega-3, and Human Health. He put together a food calculator. Jason, you can go to a website and look up every omega-3, 6, balance in every food we eat for free by going to FastLearner.org. Look up the omega-3 balance scores. Don’t get upset at me if almond butter and avocado is where nature or the universe or whatever you believe in decided to hide the omega-6s. It doesn’t mean they’re bad. That means..
Yeah, avocado. I thought that was the super food. *Laughter*. But here’s the thing, if you eat, this is why I called it a big fat story. If you ate 6 avocados a week and tons of tahini and a lot of almond butter and you didn’t eat enough seaweed or flax meal and fish, you could eat all non-gmo, totally healthy wild crafted foods and have a radially imbalanced status in your tissues and make yourself sick unbeknownst to yourself. So, the last thing is you can also check out NordicNaturals.com and please talk to your primary care physicians, your health care providers, your natural paths about omega-3 and how you can benefit from it by getting more than omega-6 in your tissues. Well, good stuff. Stuart, thank you so much for joining us today. This is one complicated issue. So, we look forward to learning more about it and keeping the discovery on going, but you presented some great science for us. Appreciate it.